Karl Vilips - Question- How does Karl find the money to compete in the US? Question- How does Karl find the money to compete in the US? You were stating on your website some time ago about not getting enough funding to get Karl to the world championships last year. Wouldn't you rather be spending that money on a good education or finding suitable accomodation? ﻿"
Answer: Firstly, let me start by saying 99% of the comments we get are totally positive, but unfortunately the Ugly Parent issue raises itself sometimes. I can't put into words how hurtful this sort of cowardly comment is, particularly from a fellow junior's parent, Tracey Frohmuller. The "Ugly parent" syndrome is certainly well alive here, but what made it worse was that this person thought she was attacking us under the anonymity of the internet. Because this person thought she was attacking us under the protection of anonymity, I've taken the liberty of printing the person's name, as these people who make such attacks using the anonymity of the internet are, quite simply, Bullies and need to be brought to task. It's not so well known that the only reason that Karl gets to compete in the Junior Worlds is due to support from sponsors, council Grants and supporters. That support is strictly for Karl's golf expenses and cannot be used for anything else. Doing so may jeapordise his Amateur Status. As such, it's hard for some people to get their head around the fact that despite Karl being able to find the support from others who want to see an Australian junior learn the skill of winning at the highest level, there are fewer sponsors and definately no Government Grants out there for the family to personally benefit. As such, yes, we live in Rental accomodation and drive a 15-year-old car and Karl lives the double life of also trying to realise his potential as a golfer. However, if Karl didn't play golf we'd still be in the identical situation, so to those couple of "haters" out there who wrongly accuse us of using our money unwisely, it's assistance from supporters who belive strongly in Karl's potential which allows Karl to compete, and money which cannot be used for anything other than competing. Less is known of Karl's appearances in Charity Golf Days to raise money for other Kids and Youth who are less fortunate than most kids. It's also on a need-to-know basis as to why Karl's father went from being a Migration Agent to being in this situation. Suffice to say, Karl's Dad is a loving Dad struggling the same as many single parents do, whilst still trying to allow his son to achieve his potential which is so often denied to kids from a lower socio-demographic in a traditionally rich man's sport. Needless to say, if we were in the same financial position as we were 10 years ago, then there'd be no need to promote Karl in order to garner the support which he needs. It's all to easy to sit from above and cast slurs on those below. More worrying is that it tells a lot about the the motives of the person making the slur when that person also just happens to have kids who have similar dreams. 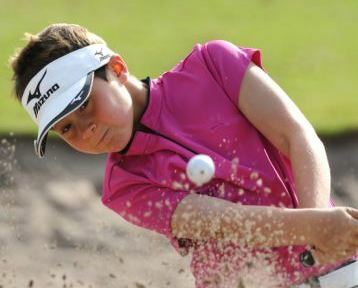 Would you prefer that a child like Karl shouldn't be competing at all unless his family has the financial means of a more traditional household at a time when the golfing bodies are shouting out about golf being accessible for all kids? It's normal for politicians and business people to use the media to generate interest. 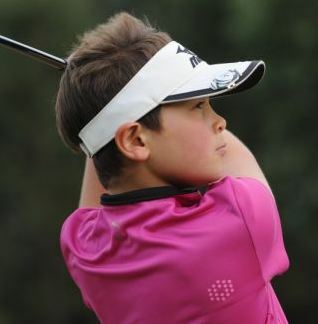 In New Zealand a junior golfer there uses the media to help his career, as have juniors from other countries including the UK. Why then, is it wrong for an Australian family who wouldn't otherwise have the means utilise the same avenues to raise the funds to help their child realise their potential? It takes a particular type of parent who is prepared to bite their pride and use the avenues which we have, but just because you aren't prepared to do so to help your own kids see how far they can take their game, then don't attack me for doing so.